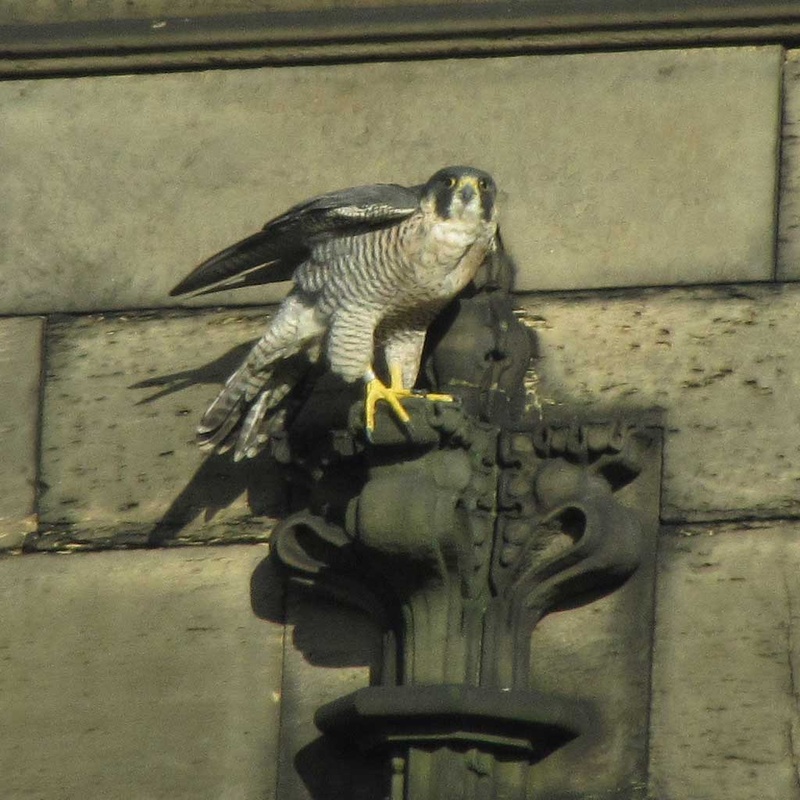 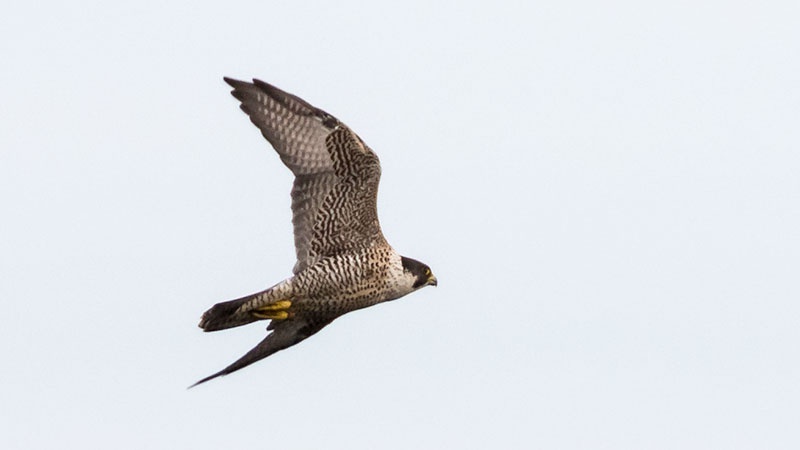 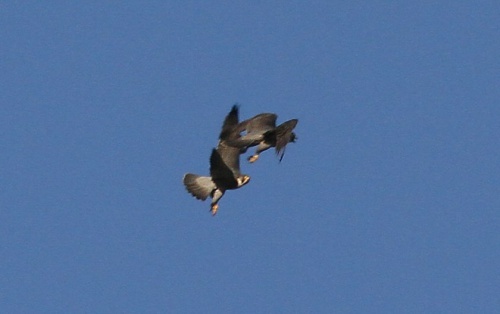 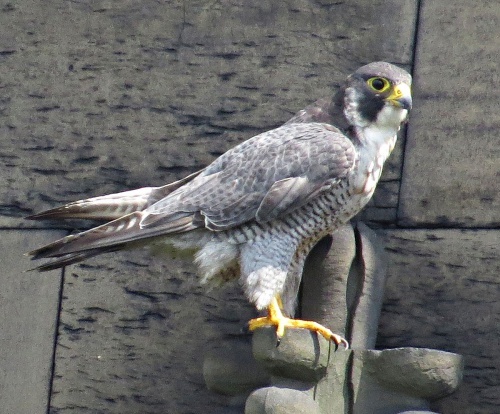 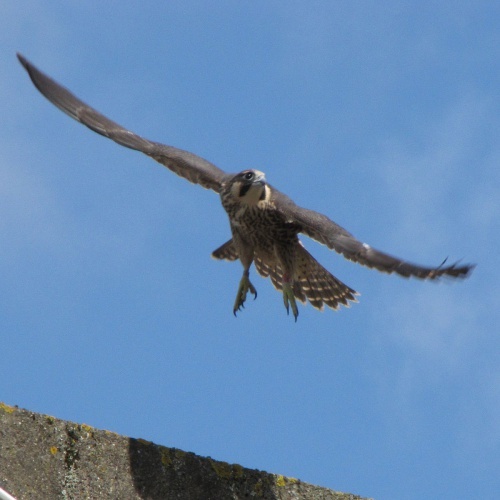 One of the larger falcons, the adult has a blue-grey back, barred white underparts, a black head with a broad, black moustachial stripe, yellow legs, a yellow eye-ring and yellow cere (top of the beak). 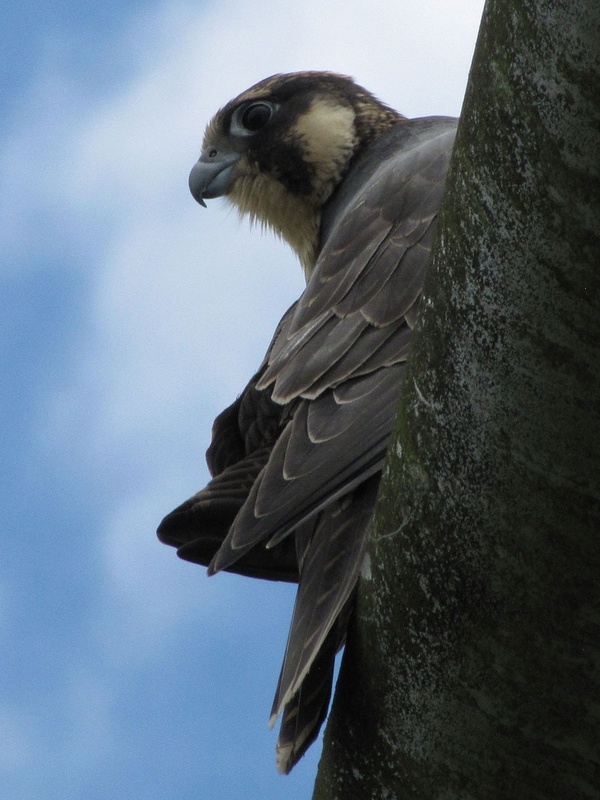 The juvenile is browner above, more heavily marked underparts, blueish eye-ring and cere. It nests on cliff faces and recently on tall man-made buildings. This spectacular bird can reach speeds of over 200 mph when diving after prey, making it the fastest animal on earth. 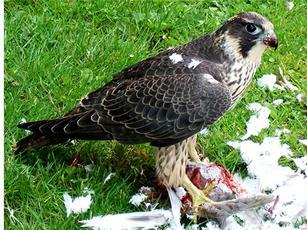 It primarily eats medium-sized birds, with pigeons being a common meal. 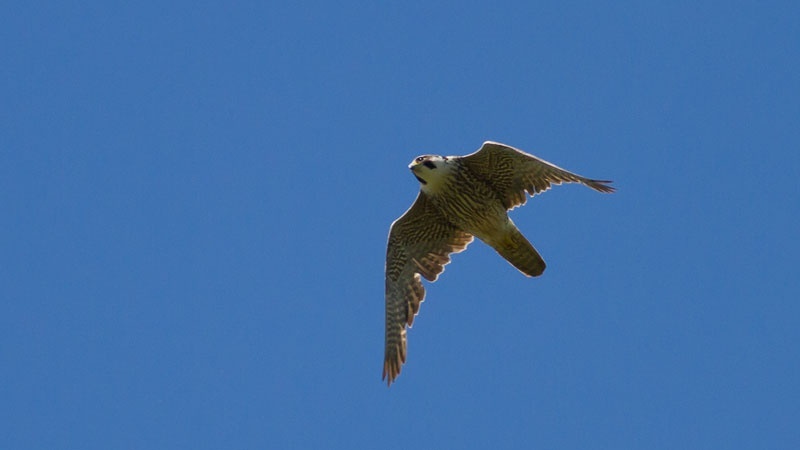 It is the most widespread bird of prey in the world, reaching every major land mass except the Antarctic and New Zealand. In Britain it is most common in Scotland and in the west but has recently started breeding in cities, including Nottingham, Derby, Sheffield, Birmingham and Norwich. 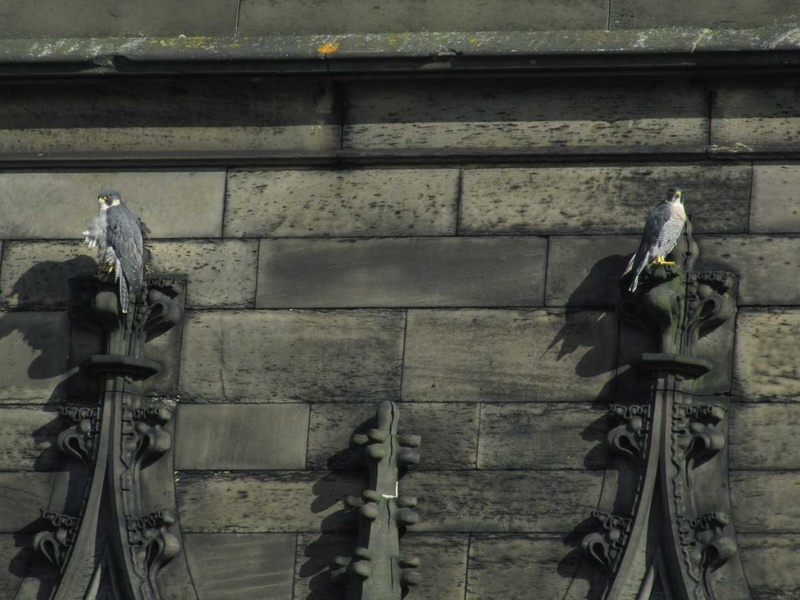 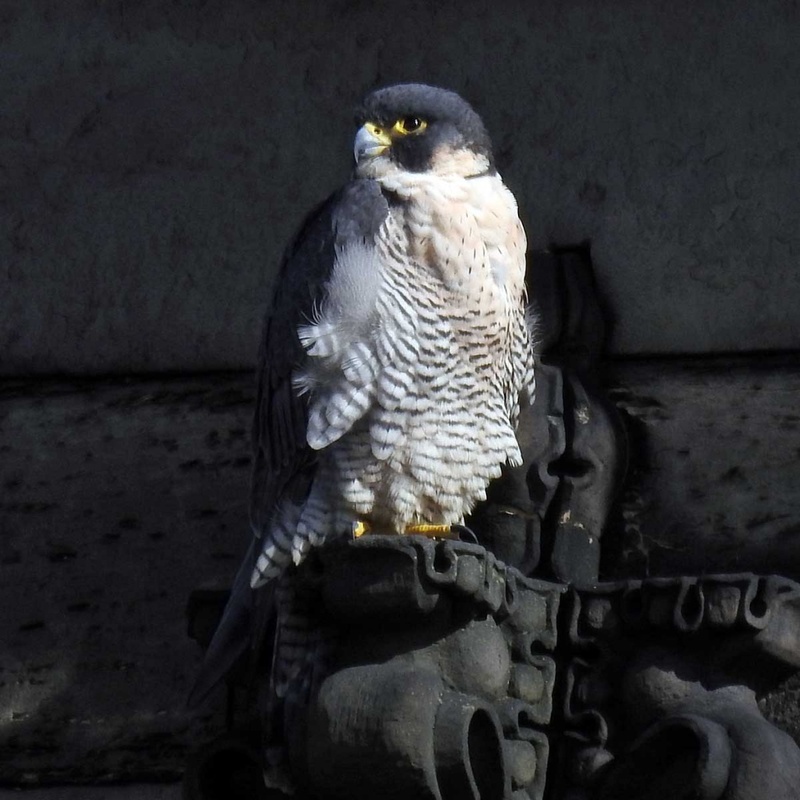 At the last count, there were about 20 breeding pairs in London. 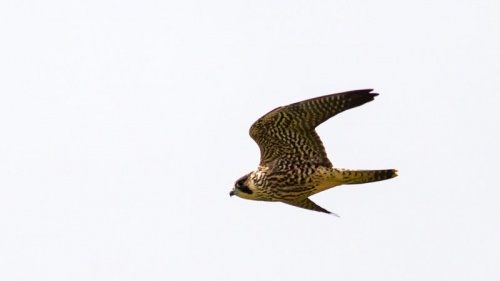 It is a rare bird in Leicestershire and Rutland, but becoming less so. 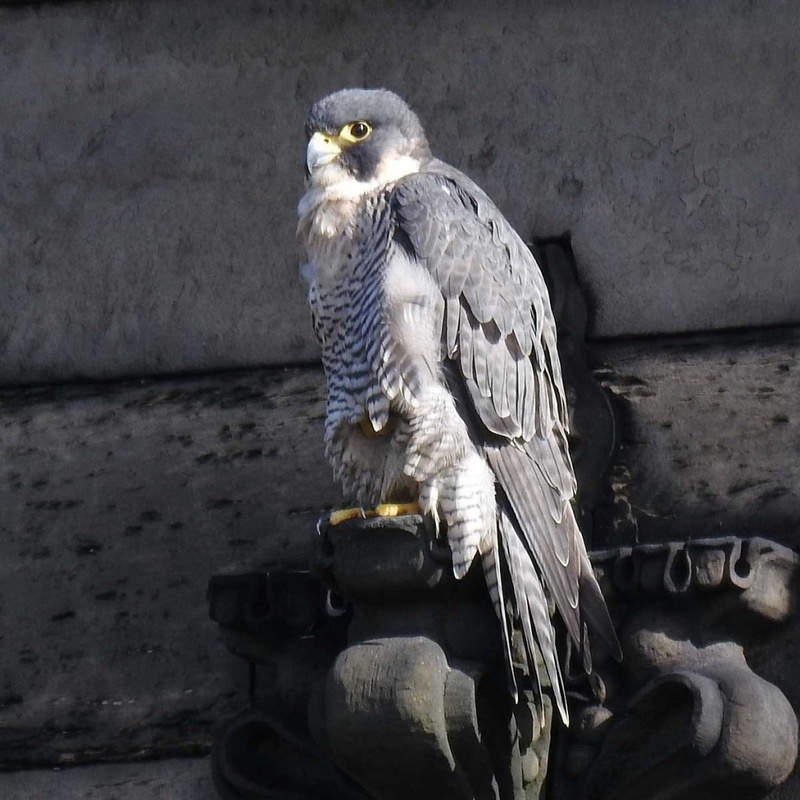 A pair have bred successfully in Leicester City centre since 2011, excepting 2015 when the eggs disappeared, possibly being stolen.